This is my Christmas Card. 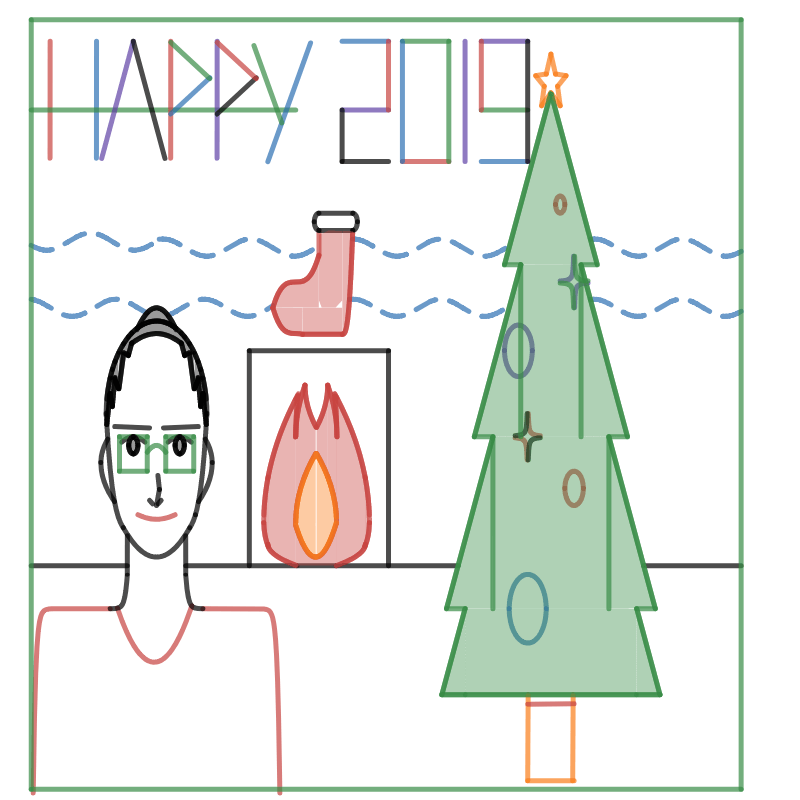 Making a Christmas card and drawing my face with Desmos was such a new and strange challenge to me. I have done once to make something with Desmos when I was taking Math 10, but they looked totally different from what I did a year ago. When I started, I expected it will take a long time to finish everything, so I began to do it right after the beginning of the winter break. Firstly, I began reviewing what we have learned before. 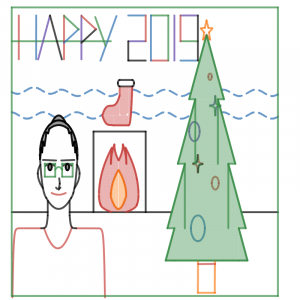 It was not so difficult to plan the design of my card with expected graphs in the workbook on the paper, but I struggled to make it with creating equations, for it was so different from my prediction. Trying to use right and all equations were so difficult to me. Especially, colouring was the hardest one in my opinion. I had no idea how I could colour the equations that looked so difficult. Therefore, I needed to search on Google and YouTube, then got some information what I needed. The conflict I faced during completing this project was only not from struggling with equations and programs. For example, I forgot to save my work, so the data was entirely erased about more than five times, or I missed a huge part of this project, so I had to do everything again. I made countless mistakes during I was doing it, but I could understand better the graphs and equations I was struggling with. It was hard but interesting at the same time.